Getting a mortgage in today's real estate environment takes planning, preparation and patience on the part of the home buyer. 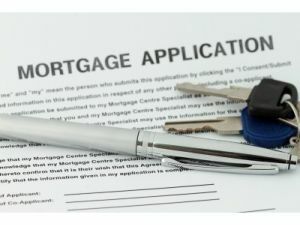 If the home buyer is working with an experienced loan officer who knows what documents to ask for up front and how to guide ones loan application through the underwriting process the mortgage process can be much easier for the home buyer. But caution to those buying a home, there are three things that every homebuyer should not do when they are going through the mortgage process to buy a home. When buying a home one of the criteria that underwriters look for is job stability and the other is multiple years experience in the same industry and career. These two criteria when put together can build a snapshot of ones career in the past several years and could also be a good indicator of the likelihood of ones job and career continuing on in to the future. Lenders as we all know like to be paid when they lend money and the job stability of a potential borrower is one of the main criteria for evaluation on the mortgage application. Ideally, a potential borrower will have two years experience at their job with a high probability of long term employment. Because of these facts we strongly recommend to our mortgage clients to not make any voluntary job changes leading up to and during the mortgage application process. If you are in the market and plan to buy in the next one to two years it is highly advisable to stay with your current employer in the same career discipline in order to not raise questions about job instability. We tell all of our borrowers up front that while they are going through the mortgage process please try not to make any large purchases on credit and not to take on any unnecessary debt. Every potential home buyer that buys a home has their debt-to-income ratio (DTI) evaluated for compliance to mortgage guidelines. The debt-to-income ratio is the level of debt one has as a percentage of ones monthly gross income. An ideal percentage of debt that is allowable in relation to ones income is 36% or less, though mortgage guidelines do allow borrowers to go above this level. Going above the 36% debt-to-income level will cause an underwriter to sharpen their pencil and scrutinize a file more carefully so borrowers really need to have their financial house in order when carrying higher amounts of debt. it is best for a borrower to remain under the allowable DTI levels as set forth under the mortgage guidelines and try to have no meaningful change in their debt level while their loan file is being evaluated. A significant change up or down in debt levels will need to be explained and an increase in the level of one's debt could adversely affect one's ability to buy a home. Mortgage companies understand that many families routinely move money from one account to another to cover expenses and to pay monthly bills. Routine is the key word here and if there is a consistent and explainable pattern requiring a person to move money from one account to another to pay monthly expenses then that normally is fine. The problem arises when there is unusual activity or transfers that can not be explained by the client that raises eyebrows and may cause a home buyers mortgage purchase to be delayed or denied. For this reason we advise our mortgage clients to minimize all unnecessary activity within and between their bank accounts beyond what has been done by them on a routine basis for the past several months and years. Minimizing any unusual and potentially excessive activity when applying for a mortgage can make the mortgage process much smoother and create less complications. Hopefully this all is logical and makes sense to potential home buyers planning to buy a home. Listen to the guidance of your mortgage loan officer and he/she will let you know what financial moves are acceptable when going through the mortgage process. This article is written by Stephen Khan. Stephen is a mortgage loan officer based in the Phoenix, Arizona area and in addition to his loan officer duties he enjoys writing about mortgage related topics that help home buyers better prepare themselves to buy a home. For more information on mortgage programs and the entire loan process you can visit Stephens’s home mortgage website for more information or to contact Stephen directly.